Margie Warrell | Who's In Your Tribe? Think about the people in your life who you can count on to encourage you to do more and be more than you may otherwise believe. Now just imagine if you had double that amount of people cheering you on and supporting your success? As human beings, we are innately social creatures. Accordingly, we are at our very best when we feel a sense of belonging and are deeply connected to other people. But not just to any people. To people who bring out our best and when life knocks us down, help us pick ourselves back up. Perhaps loaning a shoulder to cry on or just making us laugh along the way. Hopefully, you already have people like that in your life. They are people you feel safe to share your struggles, your secrets and setbacks with. People whom you can share your dreams with and who will also help hold your feet to the fire in their pursuit. People you can count on to tell you the truth, gently, even when it’s hard to hear. People you can trust. Deeply. The people you surround yourself with either raise or lower your standards; shrink or expand your expectations; broaden or narrow your thinking, boost or dampen your confidence. They will either help to bring out the best that is within you or keep you from ever knowing who you can be. So… who are you surrounding yourself with? 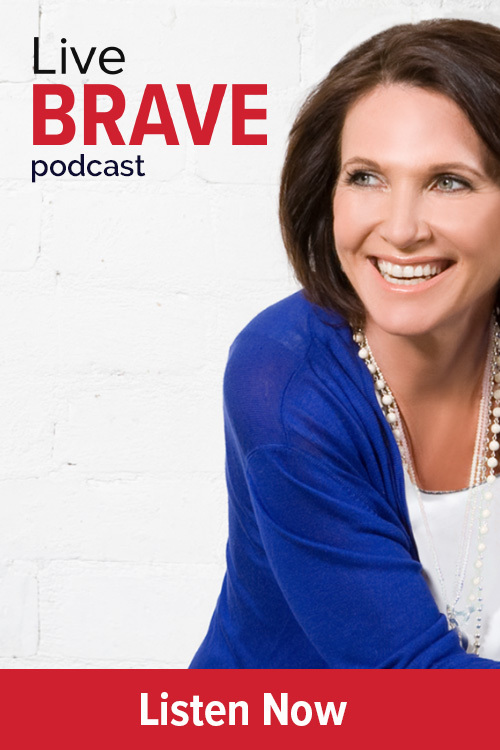 Below are three of the things you can do which I shared in Make Your Mark: A Guidebook for the Brave Hearted that will help you build the kind of tribe you need to thrive on your journey through life. Just beware: they’ll each require you to be brave in some way. Your vibe attracts your tribe. Creating an uplifting community begins by showing up as the kind of person you want to attract into your orbit. And because you want to attract people who are positive and proactive in their own lives, you need to be positive and proactive in your own. After all, how you ‘show up’ in the world will impact who ‘shows up’ in yours. Constantly complaining won’t attract go-getters. Forever worried about what everyone thinks of you won’t attract free spirits. Being perpetually terrified of things going wrong won’t win the friendship of trailblazers. Being frugal with your money and tight with your time won’t attract big-hearted people who live from abundance—or it might, but they won’t hang around for long. However, if you’re committed to living authentically, speaking truthfully and elevating the spirits of those around you, you will build the rich and rewarding relationships you yearn for most. Because without truth and authenticity, no relationship worth its salt can stand the test of time. Do you have a friend you catch up with because, well, you think you ‘should’? One that, when they cancel at the last minute, makes you sigh with relief and sing Hallelujah? If so, it’s a sign—that person is someone you’ve outgrown and you’re hanging onto the relationship for the wrong reasons: you’re afraid to cut ties and move on. If you’re committed to living an extraordinary life, it’s inevitable that at some point you’ll outgrow some of the relationships you make along the way. That doesn’t mean you don’t care about the people you’ve shared a season of your life with. Perhaps many. It simply means that continuing to spend more time with them—out of guilt or habit or fear of social retribution—is limiting your future growth and success. If you can’t share your ‘wins’ with people around you because you sense they don’t care or won’t celebrate them, then you need to find people who will. Whatever you do, don’t dial yourself down to lift others up. Downplaying your achievements and downsizing your goals so as not to intimidate people doesn’t serve anyone. You will never be able to appease those people who measure their own worth based on the success of others. So if the people in your tribe right now aren’t pulling for you, it may be a sign that it’s time to create space for people who will. As I wrote in Stop Playing Safe, staying in relationships that keep you from blossoming doesn’t serve anyone (including those you’ve outgrown). Sometimes you’ve got to ‘prune your [relationship] tree’ to create space for better relationships to grow. 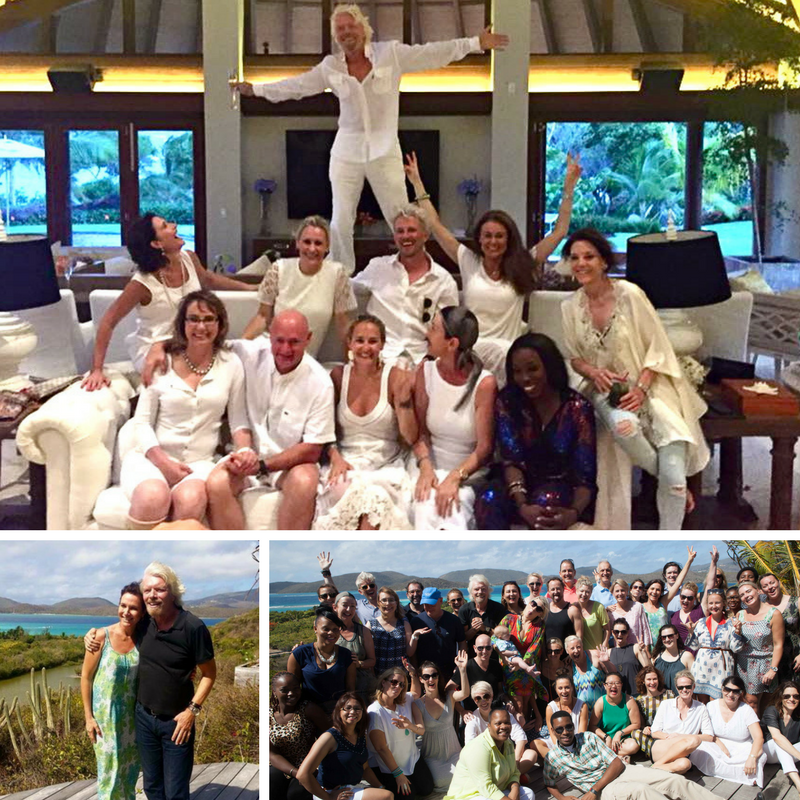 Last year, I was invited to spend a week on Necker Island with Richard Branson and a host of other big thinking entrepreneurs and leaders from across the globe. 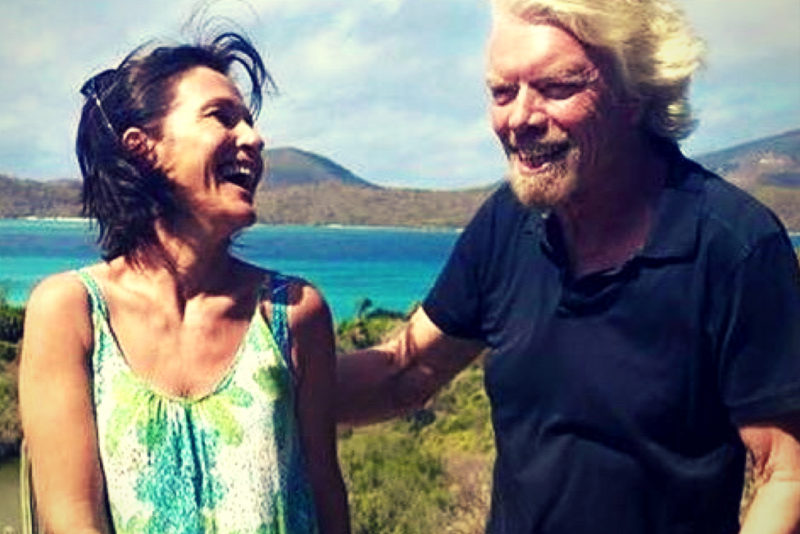 The timing wasn’t great with my four kids all on school holidays and my husband traveling with his work, but I knew that quite apart from meeting Sir Richard Branson, I would get to spend time with a host of people who would almost certainly challenge my own thinking. So I said yes and decided I’d figure out the logistics later. I’m so glad I did. Sure meeting and one of the world’s most iconic entrepreneurs, was incredibly inspiring. But the other people I met, several who had built companies worth many hundreds of millions of dollars, expanded my thinking, clarified my vision and reignited my passion. Big time. It also affirmed my belief that while amazing people may serendipitously walk into our lives, we also have to do our bit to land ourselves in theirs’. So figure out where the kind of people you want to hang out with hang out and put yourself in their orbit. Join a group of people who share a common interest, attend a conference, join a service trip for people who are committed to a shared cause. The more time you spend in places that have the kind of conversations about the things that matter to you, the more people you’ll meet who will matter also. In the end, you change your tribe and your tribe changes you. Either way, make sure it’s for the better. Your life is too short and your gifts to precious to settle for less than the biggest life you are capable of living.